In its own right, the Accord has become a modern classic around Middletown and Mechanicstown. 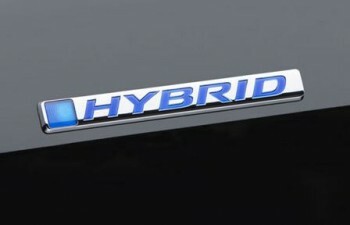 Honda has taken this trusted nameplate to the next level of efficiency with the 2014 Honda Accord Hybrid. Its combination of gas and electric performance allows you to save gas making the Accord Hybrid a great choice for families and commuters. How does the Accord Hybrid compare with the 2014 Ford Fusion Hybrid S? Both vehicles offer similar fuel economies, but only the Accord Hybrid earned top marks in one of the market’s toughest safety tests. When it comes to numbers, the 2014 Accord Hybrid and the Ford Fusion Hybrid S go toe-to-toe. The 2014 Honda Accord Hybrid is equipped with a 143 hp four-cylinder engine, and gets an estimated 50 mpg in the city. * The Fusion Hybrid S is also equipped with a 143 hp four-cylinder and has an estimated fuel economy of 47 mpg in the city. If you do a lot of commuting to work, the Accord looks to be the better buy. Recently, the Insurance Institute for Highway Safety added a small overlap front crash test. This test is meant to simulate the corner of a vehicle striking a small, solid object, such as tree, pole, or corner of another vehicle. Considered more dangerous than many other types of crashes because of its small surface area, many vehicles are not equipped to properly handle this kind of accident. The 2014 Accord Hybrid, like other 2014 Accord models, received top marks in this test, one of only a handful of vehicles. The Ford Fusion received only an “Acceptable” rating in this category. With its high fuel economy and winning design, the Accord Hybrid one of its class’s best picks. Find out more what sets it apart from the rest at Middletown Honda. We’re located at 520 Route 211, on the east side of Middletown. If you have any questions about the Accord Hybrid, please feel free to contact us! * 50 city/45 highway/47 combined mpg rating. Based on 2014 EPA mileage ratings. Use for comparison purposes only. Your mileage will vary depending on driving conditions, how you drive and maintain your vehicle, battery-pack age/condition, and other factors.